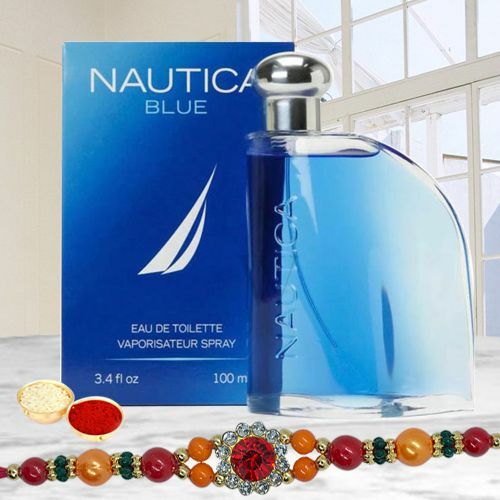 Tighten the bonds of love on this auspicious Raksha Bandhan by gifting this Seductive Nautica Blue Perfume 100 ml. with Rakhi complemented with a free Rakhi, Roli Tilak and Chawal to your favourite people. This aromatic Perfume is definite to drench your brother's heart.